"All of us lose with Brexit, but regarding Gibraltar, Spain wins." Spanish president Pedro Sánchez was exultant after Saturday's summit on Brexit, in which Brussels pledged to include Spain in any territorial agreements that might affect the British enclave at the southern tip of the Iberian Peninsula. In fact, the Spanish premier insisted the agreements open the possibility for discussing shared sovereignty for the Rock - as Gibraltar is often referred to, due to its most notable landmark. The UK and Gibraltar flatly reject to discuss sovereignty. 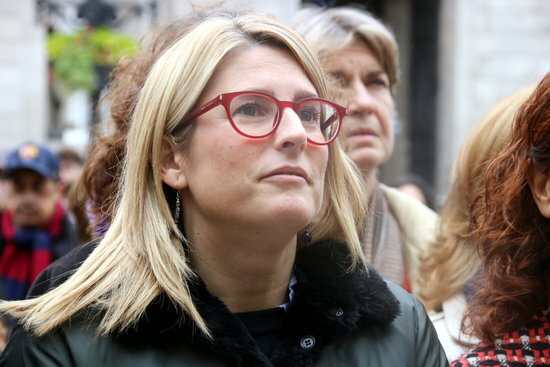 This stance was deeply criticized by the Catalan government spokeswoman and parliament president, who both demanded that Spain respect Gibraltar’s will. Back in 2002, Gibraltarians overwhelmingly voted against shared sovereignty (98.9% of the voters), something that cabinet member Elsa Artadi noted on Saturday. “It is unprecedented that Spain questions democracy again,” she said. Before the agreement over Brexit was accepted on Sunday, the Catalan government had already denounced Madrid threatening to veto the whole Brexit deal due to the Gibraltar issue. "The free will of citizens has to be respected"
The Catalan executive defended the deal as agreed between the European Commission and London, and criticized the last minute manouvres of Madrid to influence the text over Gibraltar. Yet, they were not the only ones to comment on it among Catalan politicians. The new head of the Catalan People's Party, Alejandro Fernández, compared the issues of Gibraltar and Catalonia to what he deemed as the "destruction of Spain." The Chief Minister of Gibraltar, Fabián Picardo, did not have any kind words for Sánchez, even comparing the Socialist leader with Spanish dictator Francisco Franco for not respecting UK sovereignty over 'The Rock.' "I sincerely hope he [Sánchez] changes paths," said Picardo, who insisted "Gibraltar is and will continue to be British." Sánchez had threatened to boycott Saturday's Brexit summit and so block the deal on Britain's leaving the EU, if he did not receive guarantees on Spain's veto over Gibraltar. On Sunday, Sánchez added that Spain intends to revive its bid for shared sovereignty over Gibraltar once Britain has left the European Union. However, not everyone shared Sánchez's euphoria. The leader of the unionist Ciutadans party, Albert Rivera, suggested that the UK and the EU had scored "a last-minute goal" against the Spanish president, who he accused of "posing for photos in Havana with the Cuban dictator" while Britain's withdrawal from the European Union was being negotiated. 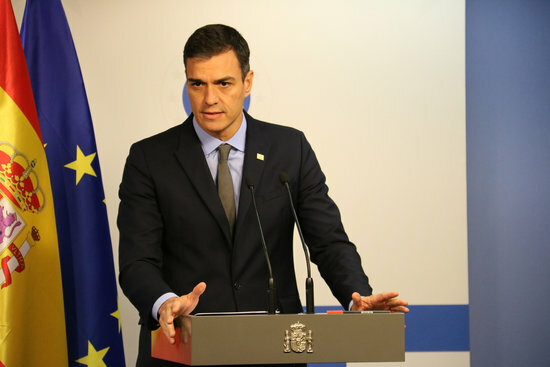 The People's Party also criticized Sánchez, saying he didn't get any "legal" guarantees on Gibraltar but only promises from the EU -and not London- over the issue. Catalonia's new foreign affairs minister, Alfred Bosch, also rejected claims by Spain on Gibraltar. Yet he welcomed the general deal on Brexit, arguing that it "provides legal security" to both the public and companies. Bosch pointed out that there are "almost 18,000 British citizens living in Catalonia" and "19,300 Catalans resident in the United Kingdom." Above all, the minister pointed to the stability the deal offers to "more than 2,000 Catalan companies that export regularly to the United Kingdom." "The agreement strengthens our commitment to Europeanism and our support for a Europe that is more democratic, prosperous and that addresses the reality of its peoples," he tweeted.